The Principles were developed by an Independent Commission of Experts made up of the following individuals. Justice Ian Binnie, C.C., Q.C. is counsel at Lenczner Slaght. One of Canada’s most respected advocates, the Honourable Ian Binnie served for nearly 14 years as a Justice of the Supreme Court of Canada. 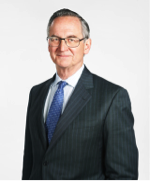 When he retired in 2011 he was described by The Globe and Mail as “arguably the country’s premier judge.” During his time on the country’s top court (as only the third modern Justice appointed directly from the bar) Ian authored more than 170 opinions, including on landmark cases involving issues of patent interpretation and validity, protection of trade-marks, media law, commercial disputes, punitive damages, expert evidence and many aspects of constitutional, criminal and administrative law. 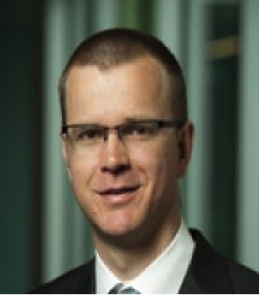 Throughout his career as a litigator, Ian has often taken on public service roles as well. In the early 1980s he served for four years as Canada’s Associate Deputy Minister of Justice. He was later appointed Special Parliamentary Counsel to the Joint Committee of the Senate and the House of Commons on the Meech Lake Accord. An elected member of the International Commission of Jurists, he has appeared before the International Court of Justice and various international tribunals in governmental litigation matters, and has acted as Canadian representative in high-profile disputes involving France and the U.S.
Anita Ramasastry is the UW Law Foundation Professor at the University of Washington School of Law in Seattle, where she also directs the graduate program in the Law of Sustainable International Development. Her teaching and research focuses on commercial law, law and development, business and human rights and anti-corruption. From 2009-2011 she served as a senior advisor to the International Trade Administration of the US Department of Commerce on trade policy in emerging markets, anti-corruption and business and human rights. Ramasastry has previously served as an expert for ICAR’s Human Rights Due Diligence project. As part of this project, she co-authored an expert report Human Rights Diligence: The Role of States (with Olivier De Schutter, Mark Taylor and Robert Thompson), which was published in December 2012. Ramasastry is also a Senior Fellow of the Institute for Human Rights and Business. William Bourdon has been a French Lawyer Member of the Paris Bar since 1980, deals primarily with Human Rights, Business Criminal Law, International Public Law, International Criminal Law, Business Law, and Media Law with a specialization in the press, and Globalization issues. From 1995 to 2000, William Bourdon was Secretary-General of the Federation internationale des droits de l’homme (Human Rights International Federation). In 2001, he founded the SHERPA Association, which gathers experts in various fields to bring international financial and environmental criminals to justice as well as to secure reparations for their victims. He has been invited as Key Speaker in many international conferences and wrote several articles on the issues of international justice, international penal law, financial crime, terrorism, in both French and foreign publications as well as books on the topics of Human rights and International Justice (including La Cour pénale internationale, Le Statut de Rome (International Criminal Court, The Rome Statute) in 2000). Siri Frigaard is the former Chief Public Prosecutor and Director of the Norwegian National Authority for Prosecution of Organized and Other Serious Crime since the office was established on August 1, 2005, and until June 1, 2015. The office was responsible for the investigation and prosecution of the core international crimes, such as war crimes, genocide and crimes against humanity, as well as terrorism crime, computer crime, sexual abuses of children on the internet and organized crime. Prior to this appointment, she was the Deputy Director of the National Criminal Investigation Service (NCIS) from May 1, 2003.From January 2002 until May 2003 she was Deputy General Prosecutor for Serious Crimes in East Timor, in charge of the investigation and prosecution of the serious crimes committed in the country prior to 24 October 1999. She has also been serving as a Senior Prosecutor and Special Legal Adviser to the General Prosecutor of Albania from June 1999 to October 2001. 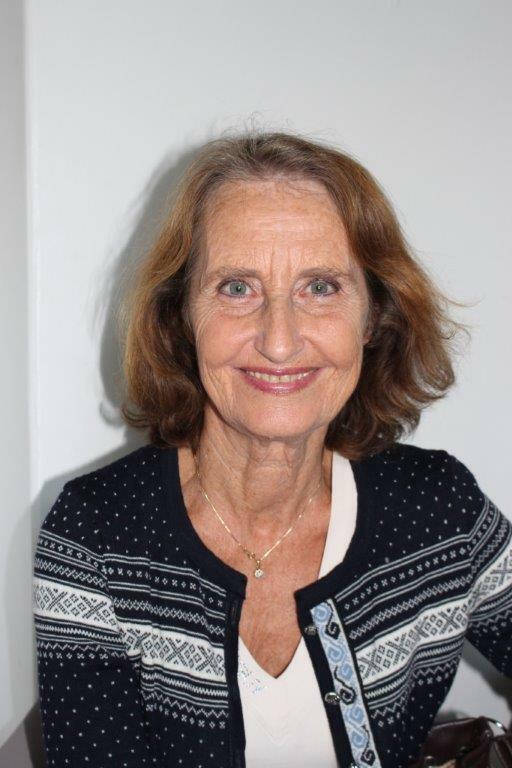 Prior to this appointment she has been working in Norway since 1985 as a public prosecutor. She was a member of the Norwegian Parliament’s Select Committee for a period of 6 years, as well as being member of the Executive Committee of The International Association of Prosecutors (IAP) from 2008 to 2014. 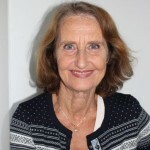 She has been representing Norway in different committees in the European council in Strasbourg and in the Baltic Sea Co-operation as well as being member of different international organisations, also as board member. In August 2007, she was the Team-Leader for the Mid-term Evaluation of the UNDP Justice System Programme in Timor-Leste. James Stewart has spent the past fifteen years working in international criminal justice, as either a practitioner or a scholar. He joined the University of British Columbia Law Faculty in August 2009, after spending two years as an Associate-in-Law at Columbia Law School in New York. Stewart was an Appeals Counsel with the Prosecution of the United Nations International Criminal Tribunal for the former Yugoslavia. He has also worked for the Legal Division of the International Committee of the Red Cross and the Prosecution of the International Criminal Tribunal for Rwanda. 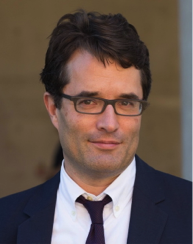 Stewart has worked on the relationship between atrocity, commerce, and international criminal justice. He was the Chair of the Editorial Board of the Journal of International Criminal Justice between 2007 and 2010, and is presently an appointed member of the Institute of International Humanitarian Law. 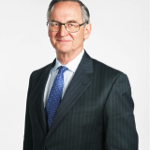 Different aspects of Stewart’s work have been cited by the International Criminal Tribunal for Rwanda, The Special Court for Sierra Leone, the United Nations Special Tribunal for Lebanon and the International Criminal Court. 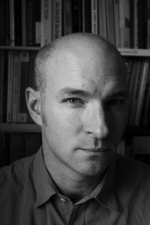 In 2006, Stewart received the La Pira Prize for his article on unlawful confinement at Guantánamo. In 2010, he was awarded the Cassese Prize for his ongoing work on the liability of corporate actors for international crimes. That year, he was also a Fellow with the Open Society Initiative in New York for an aspect of this work that deals with the accomplice liability of arms vendors. In 2011, Stewart was awarded the Aurora Prize from the Canadian Social Sciences and Humanities Research Council (SSHRC) as “an outstanding new researcher who is building a reputation for exciting and original research in the social sciences or humanities.” Finally, he was a Global Hauser Fellow at New York University Law School for the 2012/2013 academic year. 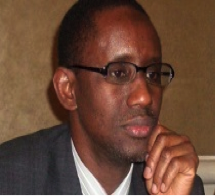 Nuhu Ribadu is the founding chairman of Nigeria’s Economic and Financial Crimes Commission, EFCC (2003-2008). Prior to his appointment, he had worked with the Nigeria Police Force as an investigator and prosecutor. He was a member of Nigeria’s Economic Management Team that implemented sweeping reforms under the presidency of Chief Olusegun Obasanjo. 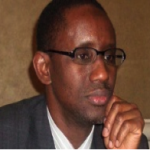 Ribadu was a Senior Fellow at Oxford University and, later, at the Centre for Global Development, US. Ribadu was at various times a member of the African Union advisory board on anticorruption and friends of the World Bank/UNODC initiative on stolen asset recovery. He served as United Nations monitor in Afghanistan between 2011 and 2012. His recent work was heading an investigation into Nigeria’s oil revenue and corruption in the sector. In 2011, Ribadu contested for Nigeria’s presidency but lost to the incumbent president. 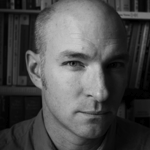 Mark B. Taylor is a Research Director at the Fafo Research Foundation, Oslo, Norway. For two decades, Mr. Taylor has worked on legal and policy frameworks applicable to human rights and armed conflict. He has written on regulatory responses to economic dimensions of armed conflict, business and human rights and the political-economy of conflicts in the Middle East. A former Managing Director of Fafo AIS, Mr. Taylor has been an active commentator on public policy issues and has advised governments, the United Nations and OECD, civil society and businesses on a range of public policy issues. 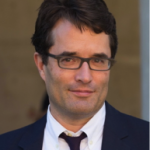 Alex Whiting is a Professor of Practice at Harvard Law School where he teaches, writes and consults on domestic and international criminal prosecution issues. From 2010 until 2013, he was in the Office of the Prosecutor at the International Criminal Court (ICC) in The Hague where he served first as the Investigations Coordinator, overseeing all of the investigations in the office, and then as Prosecutions Coordinator, overseeing all of the office’s ongoing prosecutions. Before going to the ICC, Whiting taught for more than three years as an Assistant Clinical Professor of Law at Harvard Law School, again with a focus on prosecution subjects. From 2002-2007, he was a Trial Attorney and then a Senior Trial Attorney with the International Criminal Tribunal for the Former Yugoslavia (ICTY) in The Hague. He was lead prosecution counsel in Prosecutor v. Fatmir Limaj, Isak Musliu, and Haradin Bala; Prosecutor v. Milan Martić; and Prosecutor v. Dragomir Milošević. Before going to the ICTY, he was a U.S. federal prosecutor for ten years, first with the Criminal Section of the Civil Rights Division in Washington, D.C., and then with the U.S. Attorney’s Office in Boston where he focused on organized crime and corruption cases. Whiting attended Yale College and Yale Law School, and clerked for Judge Eugene H. Nickerson of the Eastern District of New York. His publications include International Criminal Law: Cases and Commentary (2011), co-authored with Antonio Cassese and two other authors, and “In International Criminal Prosecutions, Justice Delayed Can Be Justice Delivered,” 50 Harv. Int’l L. J. 323 (2009). 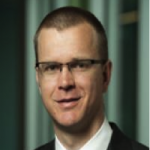 Martin Witteveen is an expert in criminal justice, criminal investigations, especially with respect to international crimes and building the rule of law abroad. Martin also has expertise in fighting human trafficking. Currently, Martin is based in Kigali, Rwanda where he serves as an Advisor to the National Public Prosecution Authorities in Rwanda on international crimes, a program funded by the Ministry of Foreign Affairs of the Netherlands. Martin’s international career started in 2004 as an investigation team leader in the Office of the Prosecutor of the International Criminal Court in The Hague, where he led the team investigating crimes in the situation of Northern Uganda. In 2008, Martin was appointed as investigation magistrate for international crimes in the district court of The Hague, the court in the jurisdiction of the Netherlands uniquely competent to adjudicate cases of international crimes. Between October 2012 and June 2014, Martin was seconded by the Ministry of Foreign Affairs in the Netherlands to the mission of the European Union in Palestine, where he advised the Public Prosecution Service. For more than fifteen years Martin worked as a public prosecutor in high profile cases of organized crime in the Netherlands. Since 2011, Martin has served on the Global Board of International Justice Mission, a human rights organization that fights human trafficking and other violent crimes against the poor in more than fifteen developing countries. Martin also works on projects concerning the relation between poverty and the rule of law and corporate responsibility for international crimes.